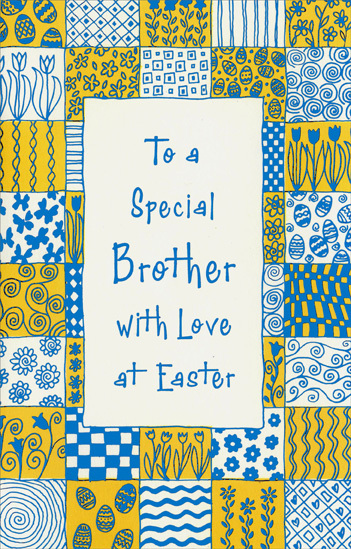 Blue foil is used extensively in this Easter card for your brother. Aside from the white and yellow background colors, all of the blue areas utilize foil. Made in the USA. 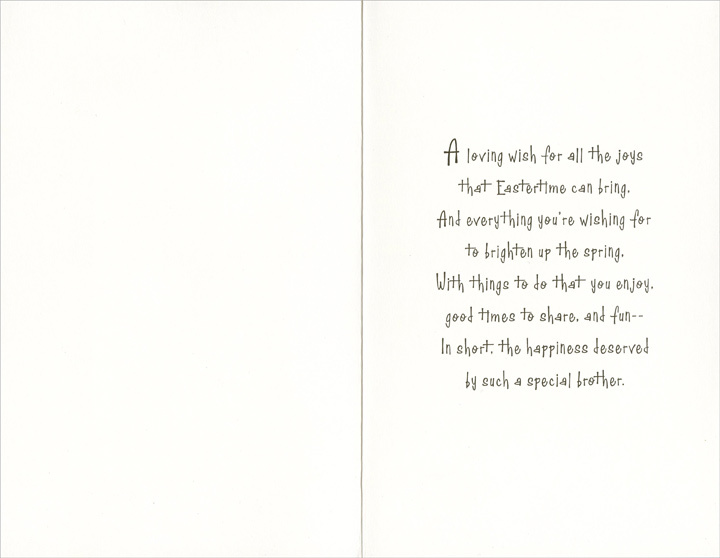 Inside: A loving wish for all the joys that Eastertime can bring, And everything you're wishing for to brighten up the spring, With things to do that you enjoy, good times to share, and fun ~ In short, the happiness deserved by such a special brother.